FrieslandCampina WAMCO, the leading dairy company in Nigeria, said it sold N120.72bn worth of milk products in fiscal 2015. 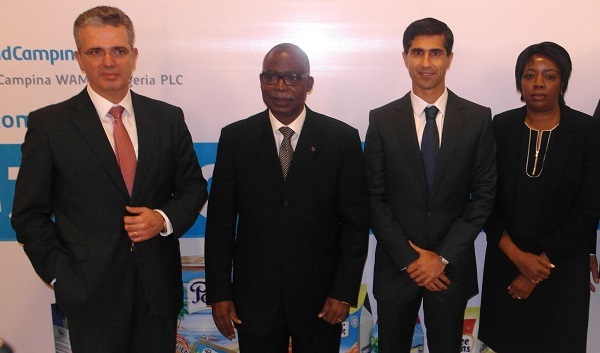 The company known for some of its iconic brands such as Peak milk, Three Crowns Milk, Friso Milk, among others disclosed this at its 43rd Annual General Meeting held on May 12 2016 in Lagos. The company said its business and financial performance was satisfactory in spite of the difficult operating environment in the country. However, revenue declined by 4.5% to N120.72bn, from N126.44bn in 2014. Despite the decline in the top line, pre-tax profit rose 13.3% to N18.60bn, from N16.50bn in the previous year. The company said it implemented significant cost reductions in its cost of goods sold despite increased operating and finance costs. The company’s chairman, Board of Directors, Mr. Jacob Moyo Ajekigbe, OFR, said “the company improved its operational efficiency in production by upgrading all of its manufacturing equipment in order to produce better and higher quality products and optimize cost of production. Its key focus on several investments generated cost savings and reduced energy use and carbon footprint. In spite of the challenging economic environment in 2015, FrieslandCampina WAMCO continued to take steps aimed at strengthening its leadership position in the dairy market and keeping with its mission of providing quality dairy nutrition, bearing in mind the pressure on consumers’ wallet. The Company launched a series of ‘Low Unit Price Packs (LUPP)’ priced at pocket friendly price points of N10 to N50. The Company believes the economy will improve in 2016 and the country’s GDP will grow again, though rather modestly, if the right mix of fiscal and monetary policies is put in place to stimulate the economy and attract domestic and foreign investments. However, due to significant foreign exchange constraints, combined with weak consumer sentiment, the company’s sales and profitability will be significantly impacted in 2016. FrieslandCampina WAMCO will seek to manage volumes and margins judiciously to ensure a long term sustainable position.